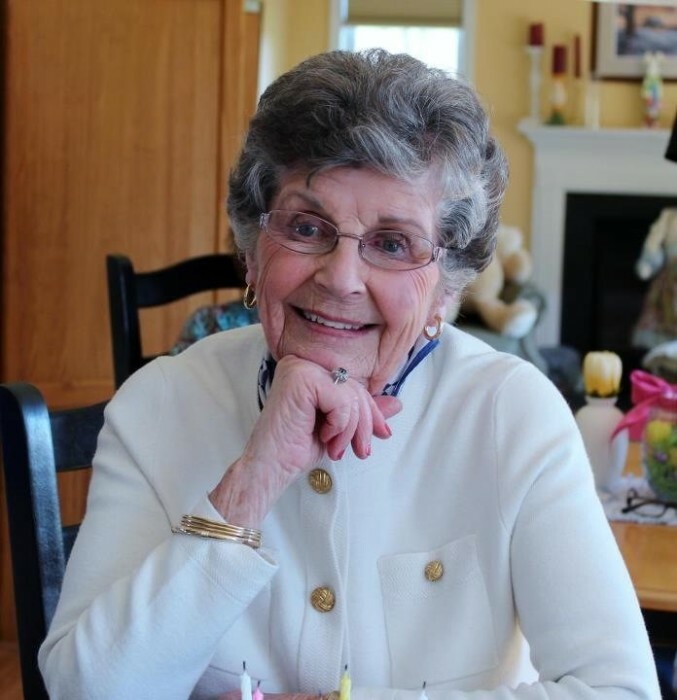 Irene Helen Beitel, 91, of West Chester, passed away on Wednesday, November 28, 2018 at Bryn Mawr Hospital. She was the beloved wife of the late Richard J. Beitel, who passed away in 1988. Born in Philadelphia, she was the daughter of the late Joseph and Helen Murphy Noonan. Irene worked for the West Chester University Bookstore for many years, retiring as a manager. She then went on to work at Michael Cook Jewelers in Paoli for over 30 years. She was a devout Catholic and parishioner at SS. Peter and Paul Church in West Chester. Irene was an avid reader, a wonderful volunteer at the Chester County Hospital Gift Shop and with the Hershey Mills Women’s Auxiliary. Irene enjoyed being a part of the IHM Companions, Sisters, Servants of the Immaculate Heart of Mary. Most of all, she was a loving mother, grandmother and great grandmother. She is survived by her children, Barbara A. Nash and her husband James S., Judith B. Kelley and her husband David W., III and David L. Beitel and his wife Laurie. She is also survived by ten grandchildren, Bradley, Matthew, Kimberly, Megan, Jimmy, Patrick, Melissa, David, David and Brian and by four great grandchildren, Brynn, Madison, Hunter and Camaran. She was predeceased by a daughter, Patricia M. Helm and by her siblings, Joseph Noonan, Kathryn Gillies, Mary Clark and Dorothy McCaffrey. Mass of Christian Burial will be held at 11:00 a.m., Tuesday, December 4, 2018 at SS. Peter and Paul Church, 1325 Boot Road, West Chester, Pa 19380. Family and friends will be received from 9:45-10:45 a.m. In lieu of flowers, memorial contributions can be made to Sisters of IHM, Mission Advancement Office, 230 IHM Drive, Malvern, Pa 19355.